I already have a rotary skin brush but it was a different brand. I had been using it until I got the new one from Vitagoods. Both can polish my skin but the Vitagoods skin brush system has a more comfortable grip. It is the perfect fit for someone like me who has small hands and that is the main reason I like the Vitagoods brush better. 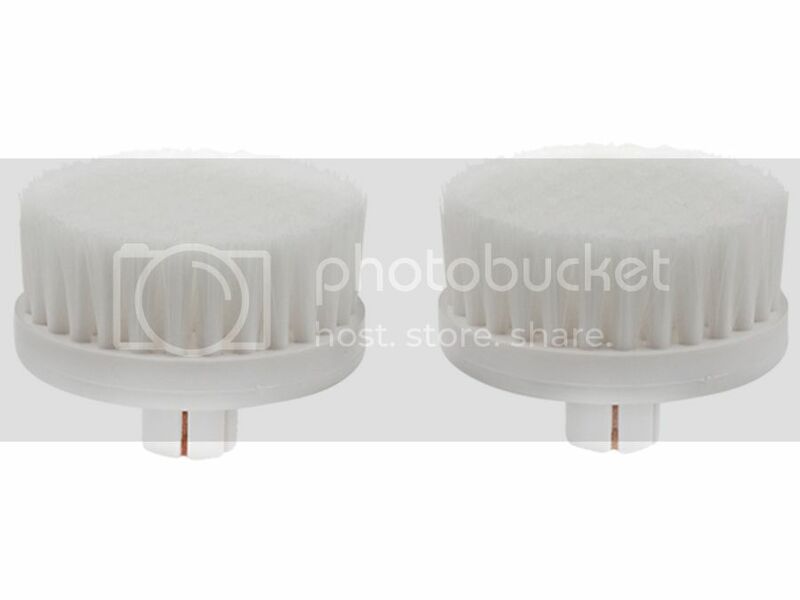 The brush heads are also lighter and more compact. This just became my newest skincare gem and my everyday skin brush system. Before having a skin brush system, I used a wash cloth which was hard on my skin. Many times my skin felt like I had just removed a layer of it. Using this skin brush system is stimulating and relaxing at the same time. The entire set retails for $99 but you can get it for only $39.99 by using the code Garf913 and that also includes free shipping. Instead of looking for more expensive brush cleaning systems, I suggest you give the Vitagoods Spin for Perfect Skin set a try. I definitely like mine. I have dry skin and it gets worse during the winter. During that time of the year, I am constantly flaking and peeling. A brush system and a heavy moisturizing lotion are very helpful to me in keeping my skin looking healthy and radiant. 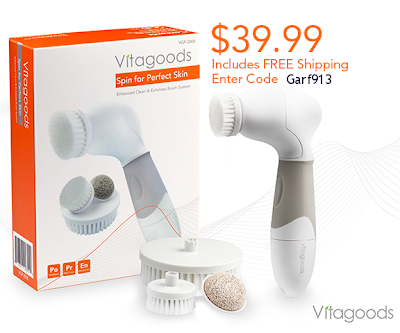 The Vitagoods Brush System comes with a brush controller, exfoliating facial brush, soft exfoliating facial brush, body brush and a pumice stone for your feet and hands. My favorite brush is the soft exfoliating facial brush. I use it everyday for scrubbing my face to remove dead skin. If you are interested in this set, visit Vitagoods for more information. Be sure to use the code Garf913 at checkout to avail the discount.